Welcome to the home page of the Cambridge Statistics Discussion Group. The group is for anyone interested in any aspect of statistics. 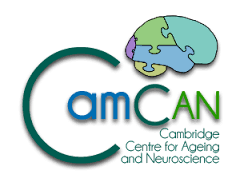 We have six meetings each session, starting in October and finishing the following May, held at venues around Cambridge. The meetings are open to all and organised by a committee of volunteers. If you are interested in joining the committee (e.g. as chair, treasurer or secretary) please contact the secretary. Refreshments are provided usually from 7-15pm with the talks usually starting at 7-45pm. Our talks last for around an hour with time afterwards for discussion and, as is traditional, a trip to a nearby hostelry. There is also a supper immediately before each talk (all welcome) at the University Centre in the centre of Cambridge. (See Map by clicking on "University Centre (Granta Place, Mill Lane)" here and here.). We usually meet in the downstairs bar at 5-45pm (although times may vary). Each talk attender is asked to contribute a small subscription during the session (1 pound) to cover group expenses which entitles them to attendance at all six talks in each session (October to May). If you would be interested in giving a talk, supplying a venue or in any other way please contact the secretary. Speakers are entitled to a FREE pre-talk meal and drinks.